How to find us? - China Restaurant ZEN in Adliswil, near Zurich. Famous for Peking duck and authentic Hong Kong style dim sum with organic ingredient and vegetarian menus. 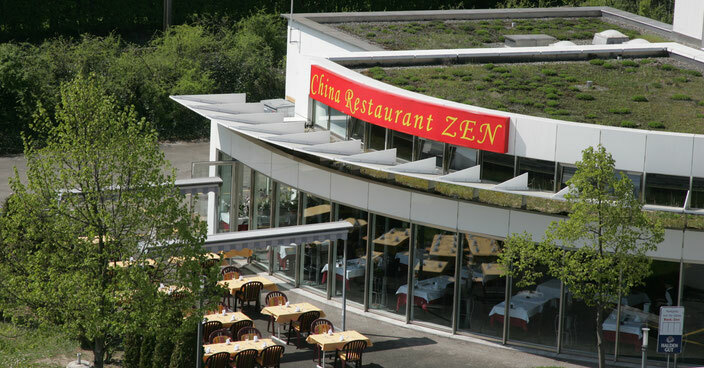 Our China Restaurant ZEN is located only 15 minutes from Zurich’s main station or from Sihlbrugg. Take the S4 from the main station in Zurich direction Sihlcity and Adliswil. Or by Bus from Thalwil or Langnau, with interchange at Adliswil. From the station “Sood-Oberleimbach” it takes only 2 minutes on foot to our restaurant. Outside the train station, walk in the direction of Zurich, past Swiss Re and Generali, until you reach the shopping street, our restaurant is located at the end of this street. Drive from Zurich via Zurich-Brunau on the route towards Luzern/Zug until you reach the junction Soodring in Adliswil. There turn left and cross the railway tracks. At the next crossing (near Swiss Re and Generali) turn left and immediately left again. Our restaurant is located at the end of the shopping street. There are plenty of parking spaces available. Drive from Sihlbrugg on the route towards Zurich-Brunau until you reach the turnoff to Soodring in Adliswil. There you turn right and cross the railway tracks. At the next crossing (near Swiss Re and Generali) turn left and immediately left again. Our restaurant is located at the end of the shopping street. There are plenty of parking spaces available.